"Each one of these souls is finite and precious. Close to saving them all.''" First-Light-Weaves-Living-Song, better known as the Librarian, was a highly influential Forerunner Lifeshaper and the head of the Lifeworker rate for ten thousand years. She was married to the Didact, the Promethean supreme commander of the Forerunner military. During the Forerunner-Flood war, she led the Conservation Measure, which sought to index all species in the galaxy and transport them to the Ark and other conservation facilities before the Flood could reach them or the Halo rings were fired. Frequently clashing with her husband over the morality of the Array, the Librarian died at the end of the war when the rings were activated, willingly stranding herself on Earth within range of the Halo effect. She viewed the human species as having special significance and is responsible for grooming humanity to be the Forerunners' successors. 100,000 years after the firing of the Halo Array, the Librarian resurfaced through personality imprints to help continue guiding humanity towards the Mantle. Born First-Light-Weaves-Living-Song, she received the name "Librarian" from her teachers because she enjoyed traveling through great stores of knowledge. She first met the Didact on Charum Hakkor before the human-Forerunner wars. Initially, the Didact's fellow Promethean, Endurance-of-Will, contended the Librarian as the Didact's wife-to-be. While the Librarian later offered him the choice of returning to Endurance, the Didact chose to marry the Librarian instead. The Librarian and the Didact settled in a large family domicile on Nomdagro. They had several children, all of whom followed in their father's footsteps and became Warrior-Servants. Over the course of her career, the Librarian came across countless different and often highly varied forms of life. On a number of ice-covered rocky moons orbiting gas giants, she had discovered small lifeforms which had arisen in the perpetual darkness of the oceans deep beneath the ice sheets covering their surfaces. For three times, she had "liberated" such beings by opening gaps in the ice, allowing the inhabitants of the subsurface oceans below to climb out and witness the extent of space beyond the enclosure of their home environments. In all of those instances, the creatures were terrified by the sheer vastness of space and scuttled back under the ice, even wiping their memories of what they had seen. The Didact and the Librarian in the Prometheans' command center on Requiem. When humanity first began to attack Forerunner worlds and vessels, the Librarian stood before the Ecumene Council and advocated immediate retaliation and total extermination of the enemy. This policy was opposed by the Didact, who proposed to follow the teachings of the Mantle and send humanity back to its homeworld; this proposal was supported by the Master Builder, Faber, and the rest of the Council. The Librarian did not agree with this outcome, but conceded to the Council's decision. As war against humanity commenced, the Librarian found herself fearful for her husband; while humanity had always been aggressive in the past, she observed that they had never seemed as desperately violent as they did at the present. During the course of the war, all of her children were killed in battle. The reasons behind humanity's perceived violent expansion became clearer in the later stages of the war, after the Forerunners' advance into former human territory brought them into contact with the parasitic Flood which now appeared to be receding from the galaxy. Upon further study, the Librarian's conclusion was that the humans' intentions had not been attacking out of rebellion, but desperation: they had been attempting to halt the advance of the Flood, destroying infected Forerunner ships and bombarding planets that were in the Flood's path. Furthermore, the Flood's apparent retreat from the galaxy seemed to indicate that the humans had found a successful way to combat the parasite, perhaps even a cure. Despite her initial reaction to humanity's aggression, these realizations caused the Librarian's originally negative opinion on humanity to shift. The Librarian studying a Pod infector. At this time, the Librarian's political standing was rapidly rising alongside that of her husband. She had accompanied the Didact as he sterilized remaining Flood redoubts, and had already conducted significant research into the parasite. Thus, she was placed in charge of the ecumene's Flood research and given the prestigious rank of Lifeshaper, becoming the third Lifeworker to ever receive the title. While the remains of humanity struggled in their last bastion of Charum Hakkor, the Librarian appealed to the Council so that humanity and their culture would be spared, as this might be the only way for the Forerunners to decipher their apparent Flood immunity. However, the Council was not supportive of her pleas, deeming humanity as too much of a threat and advocating the complete eradication of the species to ensure that they would not threaten Forerunner primacy again. After humanity capitulated at Charum Hakkor, the Council tasked the Lifeworkers with thoroughly analyzing the surviving humans for their supposed Flood immunity. Following this, the humans' mental patterns were to be extracted and stored for further study. This would be accomplished via Composers, machines originally designed by the Builders in a failed attempt to immunize Forerunners against the Flood. Although more efficient and less cruel solutions may have existed, the Builders and councilors—embittered by losses in the war—ensured that the Composers were all the Lifeworkers had. After the composition of Charum Hakkor's survivors, the remaining humans across the galaxy were gathered and confined to their ancient homeworld of Erde-Tyrene, where they were subjected to a process of biological devolution. Under orders of the Council, the Librarian and her Lifeworkers would genetically imprint the devolved humans with dormant human essences harvested by the Composers at Charum Hakkor. Although the Didact agreed with the Council's decision to devolve humanity, the Librarian questioned the justice of this decision, claiming that if humanity had not come in conflict with the Flood, then they might have been able to surpass the Forerunners and take up the Mantle of Responsibility for themselves. In response to her husband's statement that humanity's fate was in accordance with the Mantle, the Librarian responded that the Forerunners clung too tightly to their role of guardianship, and that their unwillingness to let go could be their civilization's undoing. "She comes to us when we're born. She watches over us as we grow, knows good and bad. She joys at our triumphs and sorrows at our passing. We all feel her presence." Seeing great potential in the human species, the Librarian was permitted by the Old Council to set up a research station on Earth. Over the span of the next ten thousand years, the Librarian helped the human species to slowly work toward re-creating a primitive society, away from the attention of the Council or the Master Builder. To her great surprise, the humans demonstrated incredible progress and their artificially imposed biological devolution was effectively reversed over the course of a mere millennium, leading the Librarian and her Lifeworkers to suspect that there was something beyond natural evolutionary processes, or the Lifeworkers' assistance, acting in the background. Unwilling to risk the information of the humans' advancement from reaching the Council or her husband, she gradually removed her Lifeworkers from Erde-Tyrene and paid only occasional visits to the planet to study the humans' progress and give them her geas. The early humans worshiped the Librarian as a goddess-like figure, believing her to watch over all of the humans and come to each one at birth and assign them a purpose. In reality, she used an automatic imprinting system to transmit her geas into certain humans instead of physically visiting them. She believed that the mammalian-level intelligence exhibited by certain scyphozoa and cephalopoda on contemporary Erde-Tyrene were evidence of experimentation by the Precursors. While humanity and Erde-Tyrene faded into obscurity, another political conflict loomed. The Builders, led by Master Builder Faber, proposed the construction of a new form of superweapon to combat a possible Flood resurgence; these weapons would eventually take the form of the Halo Array. The Librarian was opposed to the weapons, viewing them as contrary to the Forerunners' Mantle to protect all life. Meanwhile, the Didact presented the Council a more conventional - and less genocidal - solution: shield worlds distributed in strategic locations across the ecumene. These fortresses served as major military bases while doubling as biological preserves to which entire populations could be evacuated in times of crisis. Although the Librarian initially supported the Didact's plan over the Builders' Halos, the Council eventually ruled against the Didact and his shield world strategy was denied. As opposed to potentially losing her prestige by backing her husband until the end, the Librarian opted to retain her status by agreeing to a compromise with the Master Builder. She created a contingency plan for life in the galaxy: the Conservation Measure, which would ensure the repopulation of the galaxy's sentient beings in the event of a galaxy-wide Halo activation. After threatening to halt all medical operations in the ecumene if the Builder-controlled Council refused to give in to her demands, she and her Lifeworkers were granted extensive biological preserves on the various installations of the Halo Array, including the rings themselves as well as their construction facilities, two extragalactic megastructures known as the Arks. Although the Librarian understood the imminent eventuality of having to activate the Halo Array if the Flood expanded beyond control, her husband continued to oppose the Halos on principle, insisting to the very end that the Forerunners could stop the Flood by conventional means. Their refusal to yield eventually cost the Didact and the Prometheans their position in the Council and they were forced into exile. Following the Didact's exile, the Master Builder quickly began to see his pact with the Librarian as a liability. In order to maintain her political standing and the remaining privileges of the Lifeworkers, she needed to remain as an asset in the eyes of the Master Builder. To this end, she proposed to the Council that more might be learned about origins of the Flood if they organized an expedition to the local galaxy of Path Kethona, theorized to be the origin of the parasite. Furthermore, the journey would serve the purpose of confirming a Forerunner legend of a previous great expedition to Path Kethona ten million years earlier. The Librarian's proposal was eventually approved by the Council, and the ship Audacity was specifically constructed for the journey. With a crew of seven—including the Librarian, a Builder named Keeper-of-Tools, a Miner named Clearance-of-Old-Forests, and two Lifeworkers named Chant-to-Green and Birth-to-Light—the Audacity traveled to Path Kethona. Upon arrival, they found the satellite galaxy curiously devoid of signs of life. However, during their survey of one star system, they discovered an impressive network of Precursor star roads. Further scans revealed probability mirrors of apparently of ancient Forerunner creation as well as an enormous fleet of likewise ancient Forerunner warships, confirming the existence of the previous expedition to Path Kethona. The crew of the Audacity surveyed the ten-million-year-old Forerunner ships, but nothing could be gleaned from their decayed data banks. Conducting additional scans of Path Kethona, the crew discovered one system harboring a planet with the possibility of life. To their surprise, it turned out that not only was the planet home to descendants of prehistoric Forerunners, but the entirety of the planet's biota was based upon Forerunner genetics. No advanced technologies were in evidence, even the sapient Forerunner relatives being limited to Tier 7-level technology. The Librarian decided to venture to the surface of the planet and make contact with the natives in one of their settlements; she went as far as removing her armor, against the crew's objections. A large crowd quickly gathered around the Librarian and the armor-clad Chant-to-Green, expressing curiosity at the modern Forerunners' anatomical differences. However, the situation turned alarming as an old woman suddenly bit the Librarian in the forearm. Clearance, who had been holding position nearby, swiftly retrieved the Librarian and Chant in a seeker and took them to the Audacity. Although the others were highly concerned for her well-being, the Librarian soon learned that the purpose of the old female's bite had not been hostile: the microbes transmitted into her blood carried information which enabled her to understand the locals' language and even their way of thinking. With this newfound ability, the Librarian returned to the town and queried the old female, named Glow-of-Old-Suns, about their origins. Glow led the Lifeshaper to an organic repository of information maintained by moss-like microbial growths, which had recorded the locals' history ten million years back. Here, she learned the true nature of the ancient Forerunner expedition: ten million years earlier, the Forerunners had rebelled against the Precursors, and after exterminating all of their creators in the Milky Way, they had chased the Precursors down to Path Kethona. However, some of the Forerunners who served in the fleets objected to the complete destruction of the Precursors as a crime against the Mantle and were either summarily executed or abandoned on the planet. Those who had carried out the extermination of the Precursors until the end never returned to the Milky Way, leaving the inhabitants of the planet as the only survivors of the expedition. Following this revelation, the Librarian and the rest of the crew returned to the ecumene aboard the Audacity. She would not reveal the disconcerting truth to anyone until in her testimony to Catalog over nine hundred years later; although she was asked to testify earlier on, she rejected the request, suspecting that the Master Builder could somehow use the information for political gain due to the Builders' control over the Old Council and the Juridicals. Officially, the mission was deemed a failure, as the crew had not discovered the origin of the Flood. At one point after the Didact went into exile in a Cryptum, the Librarian devised a complex plan to bring her husband back in order to fight the resurgent Flood. She imposed a geas on certain humans, causing multiple generations to attempt to pass the defenses surrounding the Cryptum, which she had relocated on Earth. Finally, she secretly assigned an ancilla to manipulate Bornstellar Makes Eternal Lasting, a rebellious Manipular, to go to Earth in search for treasure and open the Cryptum. While the original Didact was believed to have been executed by Master Builder Faber some time afterward, he had performed a mutation to Bornstellar and thus imprinted Bornstellar with his consciousness. During the war, the Librarian traveled to the San'Shyuum world Janjur Qom to gather specimens of their species for storage. The Librarian's visit caused unrest among the San'Shyuum, who began an uprising against the Forerunners soon after. Following this, the Librarian traveled to the greater Ark, where she later met with Bornstellar Makes Eternal Lasting, now almost completely under control of the Didact's personality. The Librarian told Bornstellar that the Didact had been executed by the Master Builder and that the emergent IsoDidact was now all that remained of him. However, this was later revealed to be untrue, as the original Didact, now identified as the Ur-Didact, had in fact survived, resulting in the simultaneous existence of two Didacts. The Librarian continued to work with the IsoDidact and eventually came to accept him as her husband, unaware of the survival of the original Didact. In the final years of the war, she and the IsoDidact oversaw the evacuation of Erde-Tyrene, only to part ways as the IsoDidact departed to lead Forerunner defense from the Orion complex; she would not see him again for four years. As she and her Lifeworkers continued their indexing effort, the Librarian gave her testimony on her Path Kethona expedition to Catalog, who had arrived to interview her and the IsoDidact, first revealing the truth of what she had learned over nine hundred years prior. During the war, the Librarian traveled across the Milky Way galaxy at considerable risk to implement the Conservation Measure. She disregarded repeated pleas from the IsoDidact to return to the safety of the Maginot Line, considering her work as being much more important than her own life. "My dear husband... I know your crimes; I have found forgiveness. I know your reasons; I understand them. I know you, perhaps better than you could ever hope to know yourself. I ask you... forgive my transgressions. Like yourself, all I have done, I have done for the greater good." — The Librarian, as she prepares to fire upon the Didact. Four years later, after the Ur-Didact had been recovered from deep within the Burn—the Flood-infested region of the galaxy—the Librarian ceased her work to reunite with both incarnations of her husband in their home on Nomdagro. During the reunion, it soon became apparent that the Ur-Didact's sanity had been severely shaken by his traumatizing encounter with the Gravemind, which was now using her husband as a pawn in its own schemes. In his growing madness, the Ur-Didact declared the Librarian's favoring of humanity as contrary to the Mantle and that the Forerunners should hold onto their dominance through violence and subjugation. While she and her husband had always had a difference of opinion in regard to humanity, the Ur-Didact's newfound extremism greatly appalled and distressed the Librarian. The Librarian after she imprisons the Didact on Requiem. The Librarian's worries for the Ur-Didact were proven true during the Flood's assault on the greater Ark, when the Ur-Didact unexpectedly used a Composer to digitize the population of Omega Halo, which harbored the last major population of humans, relocated from the greater Ark to make room for Forerunner refugees. Outraged and grief-stricken, the Librarian contacted Chant-to-Green to travel to Erde-Tyrene and gather any remaining humans there and transport them to the lesser Ark. She also ordered Monitor Chakas, who had saved a number of humans aboard a Gargantua-class transport, to find the IsoDidact and take him and the humans to the lesser Ark. The Librarian herself headed to Requiem with the intent of imprisoning the Ur-Didact within a Cryptum, in order to prevent him from causing further harm and to allow him to recover via extended contact with the Domain. Upon arrival at Requiem, she discovered the Ur-Didact's scheme to use the harvested essences of both humans and Prometheans to build an army of mechanical warriors not only to fight an extended war against the Flood, but also to eradicate all potential threats to Forerunner power. On her way to the Ur-Didact, however, the Librarian was confronted by Endurance-of-Will, a Promethean and former lover of the Didact. Although Endurance appeared adamant in her support of the Ur-Didact, the Librarian managed to use the Promethean's lingering doubts about the Ur-Didact's state to convince her that the Cryptum was the best solution for him. The Librarian then personally incapacitated the Didact and sealed him within a Cryptum within Requiem's core. With the admission of Endurance-of-Will, the Librarian also uploaded an imprint of her personality within Requiem's systems in order to guide future visitors and taking control of the Promethean machines. The Librarian intended for the Didact's mind to heal and cause him to realize the error of his ways while in meditation and hoped that he would take on the role of educating humanity on the Mantle and the Forerunners' mistakes once he awoke. In order to allow humanity to access and reclaim the Forerunners' many technological achievements, the Librarian left the Janus Key in the possession of her personality impression, intending to give the Key to the Didact once he was ready to accept the responsibility she had planned for him. "My work is done. The portal is inactive, and I've begun the burial measures. Soon there'll be nothing but sand and rock and normal ferrite signatures. You should see the mountain that watches over it. A beautiful thing - a snowcapped sentinel. That's where I will spend what time is left to me. Did I tell you? I built a garden. The earth is so rich. A seed falls and a tree sprouts or a flower blooms. There's so much... potential. We knew this was a special place because of them, but unless you've been here, you can't know. It's [Eden]." — The Librarian's last transmission to the IsoDidact. The Librarian standing in front of Mount Kilimanjaro moments before her death, as envisioned by 343 Guilty Spark. Having finished her work on Requiem, the Librarian decided to use herself as bait and draw the Flood's attention away from the still-hidden lesser Ark before the IsoDidact could fire the Halo Array. She sent a message to all active Forerunner ships, including those that were in the Flood's control, to attract them to the Erde-Tyrene. On Erde-Tyrene, the Librarian met with Chant-to-Green, who had only found a meager amount of remaining humans, most of the planet's population having been indexed earlier. Upon detecting the presence of the Flood in the vicinity of the Sol System, the Librarian sent all her Lifeworkers and ships to Installation 00 and passed the title of Lifeshaper on to Chant-to-Green. The Librarian spent the last days of her life on Earth in a savanna near Mount Kilimanjaro, overlooking the automated construction and burial process the Portal to the Ark. The Librarian remotely destroyed the remaining Keyships under her control to prevent the Flood from reaching the Ark. During her final days on Earth, she exchanged communications with the IsoDidact, who urged her to return to him before it was too late. The Librarian calmly ignored the Didact's pleas and embraced her fate, while the Didact prepared a rescue party for her. However, the rescue party was destroyed by Mendicant Bias as it attacked the Maginot Sphere on its way to the lesser Ark. After the Flood arrived in the Sol system, the Gravemind sent humans haphazardly imprinted with the essences of Forthencho, Lord of Admirals and three of his warriors, to deliver a final mockery to the Librarian. Forthencho revealed what the Gravemind had told him; the true extent of the Precursors' power, and their greatest creation: an enormous field projected by Precursor architecture, serving as a repository for a hundred billion years' collated knowledge — the Domain. To her horror, the Librarian realized that by firing the Halos, the history of both Forerunners and Precursors would be lost forever, and that if the Domain was destroyed, she would have doomed the Ur-Didact to spend the coming eons in complete silence in his Cryptum, dwelling on his own insanity and rage. She sent one final message to the IsoDidact on the lesser Ark, in which she conveyed what Forthencho had told her, but the IsoDidact ignored the transmission, believing it to be a fake. The Librarian presumably perished moments afterward when the IsoDidact activated the Halo Array, wiping out all sentient life in the galaxy. Over a century after her death, the IsoDidact, now going by Bornstellar Makes Eternal Lasting again, often viewed holographic recreations of his time with the Librarian as a way of remembering and mourning her. After remembering that she sent him a final message through Catalog, Bornstellar watched it for the first time and learned of the Librarian's discovery that the Domain was a Precursor artifact that would be destroyed when the Halo Array was fired. The Librarian urged Bornstellar and Chant-to-Green to return to Maethrillian and find a way to restore the Domain. In response, Bornstellar led a mission to the Capital to get the slipspace flakes needed for the Forerunners to leave the galaxy and to restore the Domain through the Organon. By sacrificing herself to use the deadbolt key, Growth-Through-Trial-of-Change succeeded in beginning the regeneration of the Domain, fulfilling the Librarian's last request. Although the Librarian herself perished on Earth, she left behind a number of essences, uploaded personality imprints in many ways indistinguishable from her original self. These constructs would later interact with by a number of individuals and continue to facilitate the Librarian's plan over 100,000 years after her physical death. "Reclaimer, when I indexed mankind for repopulation, I hid seeds from the Didact. Seeds which would lead to an eventuality. Your physical evolution. Your combat skin. Even your ancilla, Cortana. You are the culmination of a thousand lifetimes of planning." — The Librarian to John-117, explaining him about her role in human history. One of the Librarian's personality imprints with John-117 on Requiem. Following the crash-landings of the UNSC Forward Unto Dawn and UNSC Infinity on the Forerunner world Requiem, John-117 encountered an archived personality of the Librarian. Through her imprint, she was able to influence the Aggressor Sentinels on Requiem, having them guide John to a place where she could contact him. She explained to John about the origins of the Human-Forerunner War and the Didact's decision to devolve humanity as a punishment. Only afterwards were the Forerunners made aware that the war with humanity was a result of mankind expanding - not out of conquest, but out of fear and necessity, as they were desperately attempting to halt a Flood outbreak which had spread beyond their own borders and into Forerunner-controlled space. The Librarian informed John of the Ur-Didact's plan to use a device called the Composer to forever imprison all of mankind into digital form. For him to be able to stand against the Didact, she must alter the Master Chief's genetic code, making him immune to the effects of the Composer, to which he agreed. She revealed to the Spartan that she had been guiding mankind throughout the millennia since their reseeding, providing a blueprint for their evolution, their technological advancement, their Spartan program, the MJOLNIR armor and even Cortana; all in an attempt to prepare them for what is to come. The Librarian told the Chief that he was the culmination of all her planning, what she was attempting to create with her actions. The Chief questioned her "Planning for what?" Before she could respond, they were interrupted by the Didact, and the Master Chief was forced to retreat, leaving the Librarian's cryptic warning unanswered. Thanks to the Librarian's actions, when the Didact used the Composer on Ivanoff Station, the Master Chief survived to defeat him and destroy the weapon. The Librarian had uploaded another essence of herself in a Forerunner complex beneath Mount Kilimanjaro, near the site of her death. Following his near-destruction at the conclusion of the Human-Covenant War, 343 Guilty Spark had come to believe that the Librarian was still alive. Salvaged from the ruins of Installation 00 by the crew of the UNSC Rubicon, the monitor uploaded his personality construct array aboard the Rubicon and set a course for where he believed the Librarian could be found. However, the mission failed when the Rubicon crashed on Geranos-a. Spark was recovered three years later by the salvager vessel Ace of Spades and forged an alliance with the crew to find the Librarian, eventually leading them to the Forerunner facility at Mount Kilimanjaro. In the facility, Spark and the Ace of Spades crew discovered a Lifeworker pod. After revealing the truth to Rion Forge about her father's death, Spark entered the hard light beam containing the pod, where he encountered a personality imprint of the Librarian awakened by Spark's entry. Calling Spark by his human name, the Librarian recognized that she hurt her old friend greatly, but also expressed pride at what he had become. The Librarian revealed the awakening of the Ur-Didact on Requiem and her imprint there and expressed her hope that humanity would be able to achieve what the Forerunners could not and warned that darkness was coming from many sides for humanity. The Librarian realized that Spark wished to raise his old friends and reminded him of what he went through as Chakas while carrying the personality imprint of Forthencho, Lord of Admirals and asked if he would do the same to others to bring back his friends who were now at peace, though she acknowledged that she did the same with Chakas for the greater good. The Librarian assured Spark that his friends were left to live their lives out in peace, their gene song quiet. Spark asked for access to the Domain where his friends were remembered so that his memory could join them, but the Librarian warned him that they were only echoes now, remembered only through the experience of the Forerunners and nothing more; and the bad lives alongside the good if he went to the Domain. Spark suggested that the Librarian join him walking amongst the living by using an armiger body as he did, but she refused, stating it was not yet her time. The Librarian helped Spark to understand that the friends he had been searching for he had found in the crew of the Ace of Spades. The Librarian stated that this personality imprint would go to join her other imprints at the Absolute Record while humanity must be given the tools to hold the Mantle of Responsibility as well as the knowledge to tend to the Domain. Though Spark suggested that afterwards would be "Bastion," he could tell that the Librarian did not believe that she would ever make it there or to anywhere else where she would find rest and peace at last. With time running out, the Librarian offered Spark two choices: to go with her to the Absolute Record or to remain behind and help his friends. The Librarian offered him a small etched box that she called a key with which he was to "find what's missing. Fix the path. Right what my kind has turned wrong." The Librarian sorrowfully admitted that she believed the Didact to be beyond redemption when asked if he could ever find peace and Spark decided to remain behind, having realized that the Librarian was right and he had found the friends he was searching for all along. The two promised to see each other again in the future before the Librarian's imprint departed for the Absolute Record in a massive pillar of light that shot into the sky. As she left, the Librarian appeared for a moment before the crew of the Ace of Spades with one look at her causing Rion Forge to understand Spark's devotion to the Forerunner. With one glance, Rion understood that her feelings towards the Librarian were a genetic disposition built into her very DNA, giving the Librarian a way to be heard, to inspire loyalty and to nudge her children to fulfill their full potential. The Librarian communicated to Rion in that moment the trials ahead, the battles to come, the safe place, the things that needed tending and healing and a message to "take care of him. He is more fragile and important than you could ever know." After their escape, Spark explained that the Librarian gave him a coordinate key to a safe place, but did not elaborate further upon it. He also admitted that he sought the Librarian to access the Domain and find the ghosts of his friends so that Spark could either bring them back as geas or join them. With several hundred people having witnessed the departure of the Librarian's Lifeworker pod and multiple witnesses to the two humanoid figures inside the hard light beam, ONI realized that Spark most likely met with an imprint of the Librarian. However, they were unable to determine what she gave to him though they had access to the facility where the imprint was found. In February of 2558, UNSC forces were looking for the archived personality encountered on Requiem. Meanwhile, Jul 'Mdama's Covenant faction had located a "shrine" where they believed the Librarian herself could be awakened. The Covenant remnant attempted to access the shrine to finally uncover the Librarian. After Doctor Henry Glassman was teleported by one of the Requiem translocation artifacts right into the clutches of the remnant, 'Mdama put him to work in an effort to activate the shrine. Glassman, working with limited and out-dated resources, only managed to activate the shrine's security systems, erecting a large and powerful shield around it. When 'Mdama touched the shield, the recoil was enough to knock him on the floor. Glassman managed to escape and was rescued by Spartan Gabriel Thorne. The Librarian reveals the Janus Key to Dr. Halsey. 'Mdama needed to disperse the shield around the shrine. When Doctor Catherine Halsey was captured by Promethean forces that managed to invade the UNSC Infinity, she was brought in front of 'Mdama. Having a history of discussing with 'Mdama, Halsey was allowed to freely approach the shrine, where she used her data pad to deactivate the shield and finally activate the shrine. Before 'Mdama could enter himself however, Halsey rushed in and entered it, angering him severely. Inside, the Librarian introduced herself to Halsey. She told Halsey that Halsey herself was to receive the gift that 'Mdama had preached, not 'Mdama. The Librarian then revealed the gift to Halsey: the Janus Key, a catalog that contains all the real-time locations of every Forerunner technology still remaining in the galaxy and demonstrated it by putting the two halves of the Key together, revealing a large star map with spheres encompassing locations containing Forerunner technology. She also informed Halsey that she should take the Key to the Absolute Record. When Halsey hesitated, asking why the Librarian would hand her something of such value to her, the Librarian replied that Requiem's time was at an end and that humankind should use the Forerunner's technology to propel themselves upward as a species so as to not waste the resources left behind by the Forerunners. Halsey took the Key and was suddenly pulled out of the shrine, leaving the Librarian behind. The Librarian then assisted Fireteam Crimson, and made them send her to the Absolute Record. Roland and Dr. Lani Truman managed to hear part of the Librarian's statement, intercepted by Fireteam Crimson while on a mission at Cyclone, namely "To the Absolute Record". The Librarian's statement about Requiem's time being at an end concretized as Jul 'Mdama, in possession of one half of the Key, set Requiem to collide with its sun. The Librarian then assisted Fireteam Crimson, and made them send her to the Absolute Record. The shield world was consumed by the sun shortly afterward. At the Absolute Record, it turned out the Librarian's imprint had made it, and was waiting for Halsey. When Halsey arrived forcing control of the record from the Custodian, the imprint discussed what Halsey could do with the record. Not long after, the Custodian regained control of the facility, locking Halsey out and taking the facility, the Janus Key, and in turn the imprint to a new location. "You still can't read her as well as I. She is stubborn, brilliant as a nova, dark as a singularity, with infinite depths. I've never discovered the core of her emotions, her self. I wonder what her duplicate would be like, what it would feel like to wear her imprint. To so many species she has made herself like unto a god, that they will remember her, that she can manipulate them in future times." — The Ur-Didact describes the Librarian to the IsoDidact. The Librarian was an elusive figure of immense intellect and knowledge, her true motives and goals often incomprehensible to others. She had an expert understanding the passage of what the Forerunners called Living Time, the progression of history and the streams of individual and collective fates therein. This enabled her extraordinary abilities of foresight, allowing her to make complex plans for countless millennia to come. Despite caring for life in general, she did not have qualms about sacrificing individual lives or manipulating the course of an entire species if it served a greater purpose. This mentality was most prominently demonstrated by her approval of the firing of the Halo Array; despite causing the deaths of untold billions, the Librarian, despite having initially opposed the Halos in a similar manner to her husband, eventually came to see it as necessary to stop the Flood, which would have ultimately assimilated all life. While the Librarian greatly valued and cherished all life, she also understood better than most that life is at its core competition and struggle, and that all civilizations are ultimately most concerned with their own interests. Despite this, she had become disillusioned with the Forerunners due to their many failures and the degradation of their once noble ideals. She was well aware long beforehand that these factors, as well as the Forerunners' refusal to admit them, would eventually lead to their end. This was the primary cause of the schism between her and her husband, the Didact: in stark contrast to the Librarian's views, the Didact was staunchly committed to the Forerunners' survival, and eventually, their absolute dominance at any cost. She held particularly deep respect for humanity, whom she viewed as "special" among all of the sentient life she had seen, and felt that it was well worth the sacrifice of her own life to save them. This was due to the belief among Forerunners that humans were also molded in a similar manner to the Forerunners by the Precursors, as well as her own view that humanity had proved themselves more worthy of the Mantle than the Forerunners. The Didact noted the Librarian to have a sense of humor unusual in Forerunners, which is why he suspected she had arranged such a complex plan to bring him out of his Cryptum and have two humans and a Manipular assist him in his quest. Due to her love for all forms of life, she also favored various dangerous predators, particularly merse which she raised in the gardens of her and the Didact's home. The Didact never understood her fascination with the creatures. Despite her ultimately benevolent aims, she also took a significant amount of pride in her work, and often presented herself as essentially a goddess to primitive civilizations, most notably humanity. In her own view, she did this because she wished to be remembered, seeing her own existence as fragile in comparison to the humans whom she intended to take the Forerunners' place in the future. "I see very clearly how much the Librarian has shaped humanity since the end of the first human-Forerunner war. Whenever you look inward and see an ideal female… whether it be goddess, anima, mother, sister, or lover... For a brief, barely sensible instant, you will see the face and feel the spirit of the Librarian." The Librarian was said to have simple, yet elegant features, and her appearance was very youthful despite her age. She was considered beautiful by both contemporary humans and Forerunners alike, and one effect of the geas she imprinted on humanity is that her image became what humans subconsciously view as the ideal female. In purely physical terms, however, she was not viewed as perfect by Forerunner standards; rather, it was said that her beauty was more spiritual in nature. Additionally, Catalog noted that the Librarian's features were unusually human-like in contrast to Forerunners in general; this was likely the result of deliberate self-modification. One of these deviations from Forerunner baseline physiology were her five-fingered hands, as opposed to the six—or in some cases, seven—fingers per hand common among Forerunners. The Librarian's personal armor, slender in overall shape and blue in coloration, contained a wide array of instruments commonly required in her field of work, including persuaders, scanners, sample bays, subcutanes and biopsy probes, concealed within narrow grooves and slots in the arms and torso sections. She has also been frequently seen wearing a skintight, luminescent white dress-like outfit with an elaborate headdress and a small anti-gravity dais which enabled her to float over the ground. Check out our collection of quotes related to Librarian in its quotes page. The Librarian was first mentioned in Halo 3 in the Terminals. In her messages, she is identified as "L". As with most Forerunner names, terms and phrases, "Librarian" would not have been her actual title, but is merely the closest analogue to the meaning of the original word. The Forerunner records of her transmissions utilize translation software so advanced that it incorporates idioms from the reader's own experience; these words appear in brackets in the Halo 3 terminals. These translations have become the default English analogues since their first appearance in the terminals on Installation 00, and have since been used by the UNSC's AI translators when translating other Forerunner records such as the Bornstellar Relation or 343 Guilty Spark's account. The Librarian is voiced in Halo 4 by actress Lori Tritel. 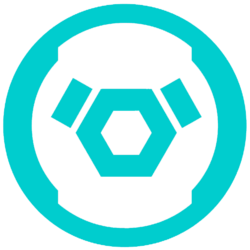 The Librarian's symbol seen in the terminals is also an emblem usable on Halo 3's Multiplayer. The Librarian referred to the part of Earth she resided on as "Eden". This is a reference to the Garden of Eden in Abrahamic religions. The proto-Gravemind was originally called "The Librarian". In Halo 4, the central structure of the Librarian's dais is near-identical to the Ur-Didact's helmet, albeit slightly larger, upside down and with added "horns" on the sides. Portrait of the Librarian in Halo 4. A view of the Librarian's head from 'Halo 4 without her headdress. A profile shot of the Librarian in Halo 4. A look of the Librarians back in Halo 4. Closeup of the Librarian's face. Closeup of the Librarian's face in the terminals of Halo 4. The Didact and the Librarian embrace on the Capital. The Librarian, wielding a binary rifle, preparing to incapacitate her husband to prevent him from destroying humanity. The Librarian meets Dr. Catherine Halsey for the first time in Spartan Ops. The Librarian holding the Janus Key. The face of the Librarian. The Librarian offering the Janus Key to Halsey. The Librarian on the cover of Halo: Escalation#23. The Librarian (far right) in Halo Mythos. ↑ Halo: Fractures, "Promises to Keep"